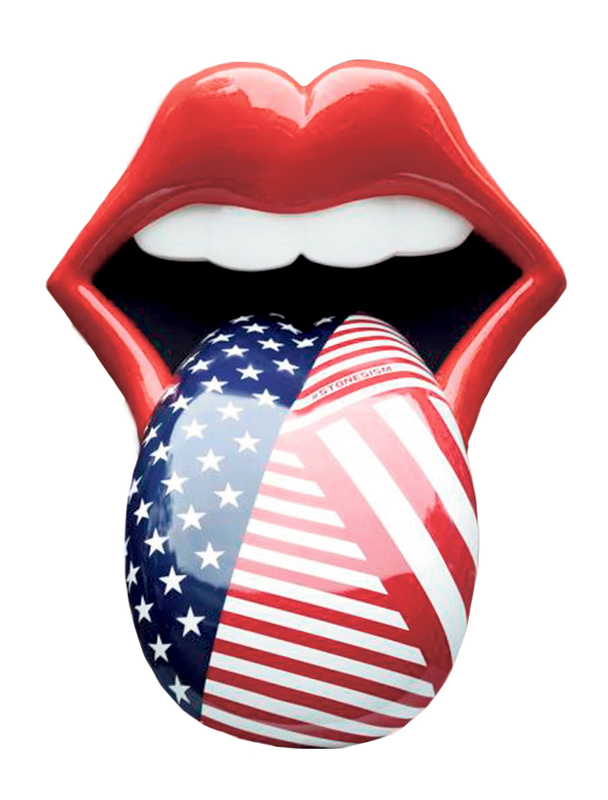 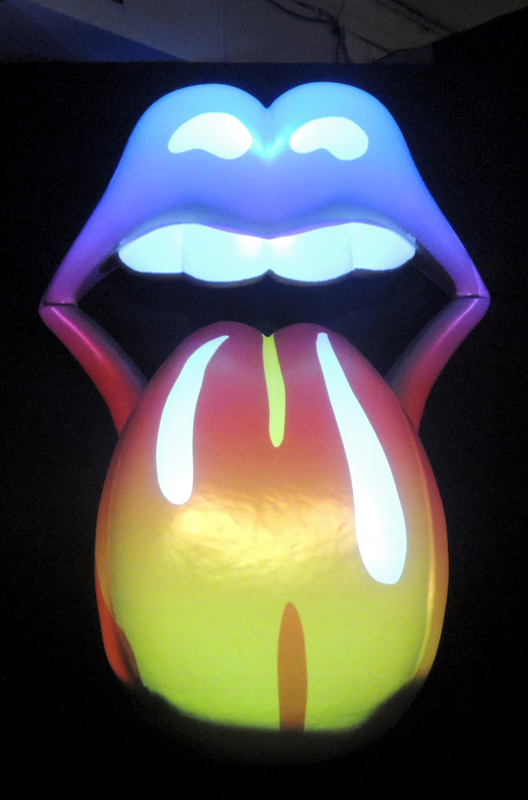 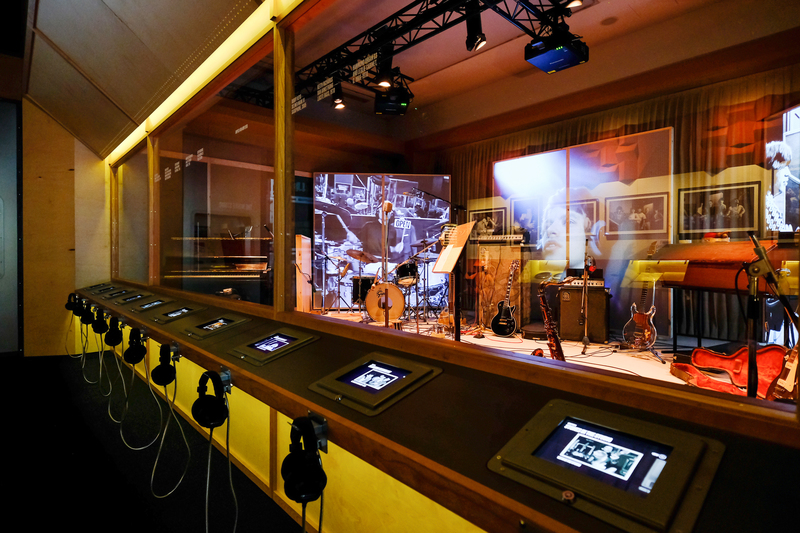 Curated by New York native Ileen Gallagher, Exhibitionism, delivered by DHL, is an interactive homage to the self-described “World’s Greatest Rock and Roll Band” that features the full participation of band members Mick Jagger, Keith Richards, Charlie Watts and Ronnie Wood. 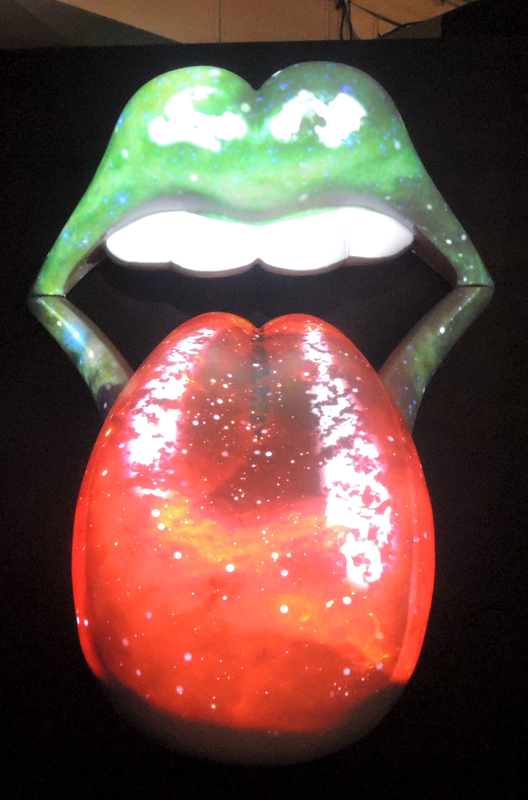 Located in the Meatpacking District section of the West Village at Industria, this exhibition runs through March 12 and uses more than 500 rare items to tell the story of the Stones dating back to the group’s early 1960s origins. 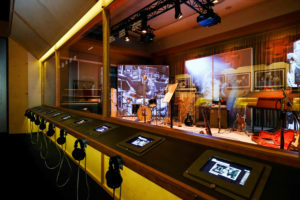 Attendees going through this multimedia experience will see an art installation recreation of the 1963 flat located in London’s Chelsea area shared by Jagger, Richards and founding member Brian Jones, a costume section featuring quotes by designers Tommy Hilfiger, Anna Sui and John Varvatos and a section dedicated to the band’s cinematic history featuring commentary by storied director Martin Scorsese, who directed the 2008 concert film Shine a Light. Elsewhere, there’s plenty of ephemera to get the pulses racing for the rabid Stones fan. 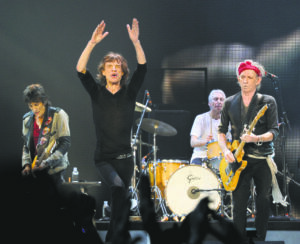 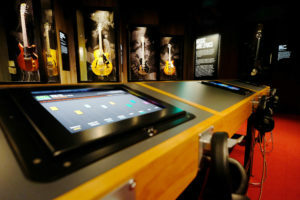 Along with gear that includes Richards’ rosewood Fender Telecaster, a peek backstage and in the recording studio of a Stones our and recording session respectively, you’ll find Jagger’s lyric book with the handwritten words for “Miss You,” “Hey Negrita” and “Worried About You,” fanzine questionnaires filled out by the band and footage of the band playing with blues legend Muddy Waters at Chicago’s Checkerboard Lounge. 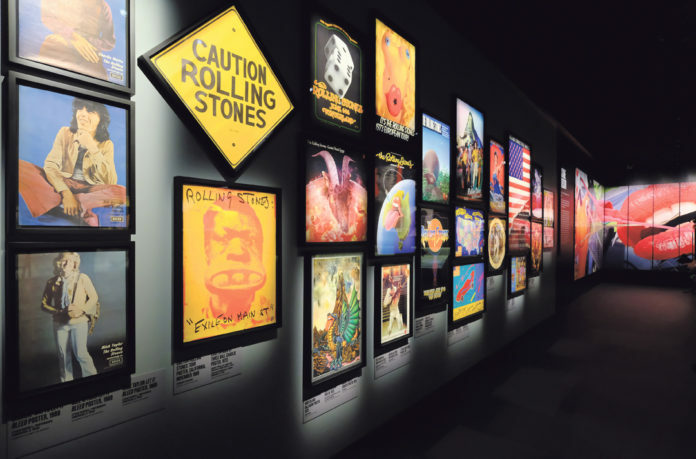 Exhibitionism is an overarching presentation of the Rolling Stones’ influence on music, fashion, art, film and pop culture that includes an array of the band’s tour attire, promotional posters and renderings by the likes of Andy Warhol.